This is a great opportunity to visit this country of legends for gods and heroes, to make acquaintance with 4 civilizations, which are the foundation of modern European culture - Thracian, Ancient Greek, Roman and Bulgarian. Transfer from airport to a hotel 3* or 4* (convenient location). Walking tour at the city center (about 2 hours, use of public transportation from the hotel is necessary). You will see St.Sophia church dating back to 5th-6th centuries A.D., a monument of Bulgarian medieval civilization that gave the current name of the town. Visit the largest cathedral Alexander Nevski with its gilded dome, the rotunda St.George 3th-4th century and the city fortress and you will feel the spirit of the city, which history dates over 5000 years ago. Optional: dinner at local family home and feel their hospitality. Check in at the hotel (central location). Free time to explore by yourself the beauty of old Plovdiv, in the evening you can visit the old quarter Capana, where nowadays you can find a lot of pubs, bars, clubs, art galleries etc. Optional: walking tour with a local guide. Departure for the city of Stara Zagora. Check in at a hotel with central location. Free time to explore the city - the heritage of the town is the result of its eight thousand year history that can be traced in the rich archives of the Regional History Museum; "The Neolithic dwellings" Museum, presenting the best preserved dwellings in Europe from the middle of 6th century BC; the Antique Forum of Augusta Trayana; the "Defenders of Stara Zagora 1877" Memorial Complex, the "Geo Milev" Museum, the Art Gallery; the Museum of Religions. Optional: walking tour of Stara Zagora. 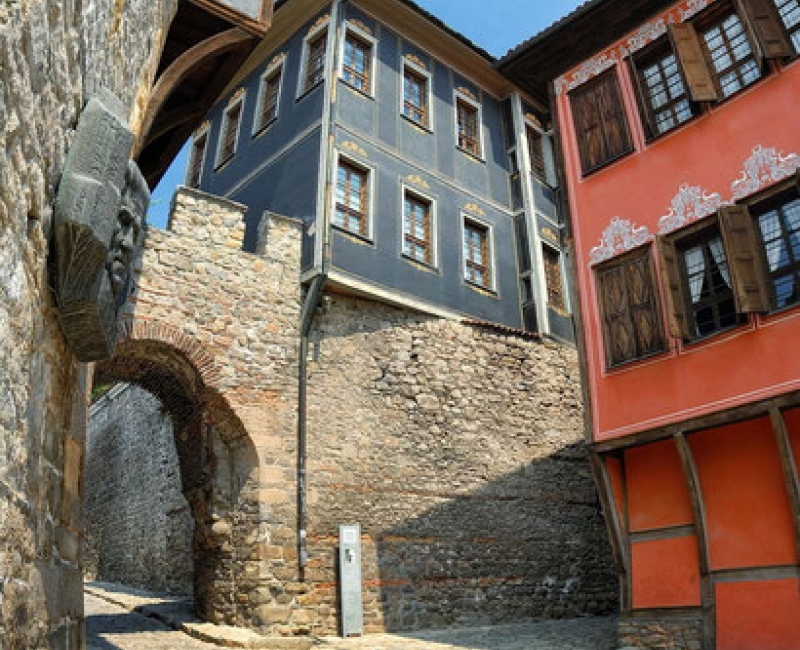 Departure by bus for the Old Bulgarian capital the medieval town of Veliko Tarnovo. Accommodation in a hotel with convenient location . This is a beautiful city built on hills at the foot of which the Yantra River is winging. You can visit by yourself Tsarevets Hill, home to the Royal Palace and Patriarchy, the street of the crafts - Samovodska charshija where crafts studios are still active. There is immersive atmosphere of 60th-70th years of the 19th century. Optional: guided walking tour of the town. Day 5 – Veliko Tarnovo – Sofia. Free time for shopping, visiting museums, art galleries, Opera house or other places of interest. Transfer to the Sofia airport. 5 nights + 5 breakfasts in 2, 3 or 4* hotels, according to your choice. Transportation on “Sit in coach” basis: Sofia – Plovdiv, Plovdiv – Stara Zagora, Stara Zagora – Veliko Tarnovo, Veliko Tarnovo – Sofia. Optional dinner with local family in Sofia: 4 courses dinner of traditional Bulgarian dishes plus traditional local alcohol and wine. A cozy evening with Bulgarians at their home. You will discover the today life of the people in Bulgaria and their memories from the communist time. (Use of public taxi transfers from to the hotel is necessary – about 7 euro pp for the roundtrip).